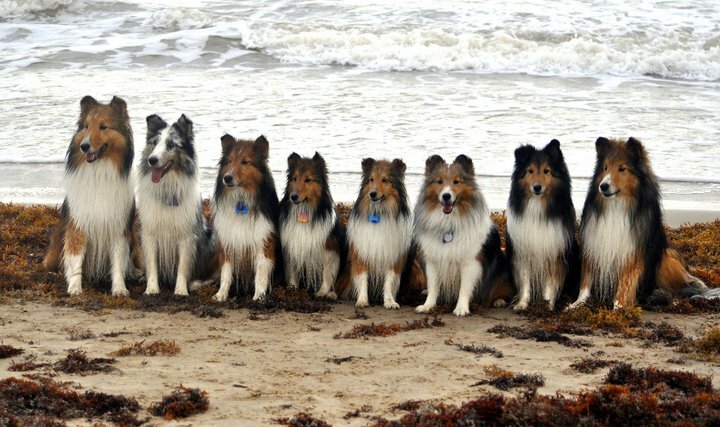 Brittany will occasionally breed a litter of Shelties under the kennel name Bon Temps. Her primary interest is performance, and she strives to breed moderate dogs with a desire to work. In 2013, Brittany co-bred a litter with friend Ann Angel. Luna, a lovely bi-black girl, was bred to Am/Can CH MACH 6 Castlegate’s Daily News VCX “Geraldo.” The litter produced 3 bi-black Shelties. Trek stayed with Brittany as her next agility dog. Streak is in Houston with first time Mary Schaff, and Meaux Jeaux lives in the Baton Rouge area with Sheryl McGinnis. Trip’s relatives’ have had performance success on both sides of her pedigree. 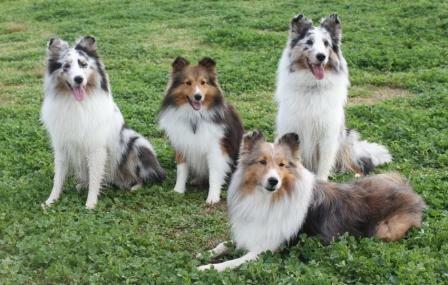 She is closely related to many of AnAngel’s wonderful Shelties. 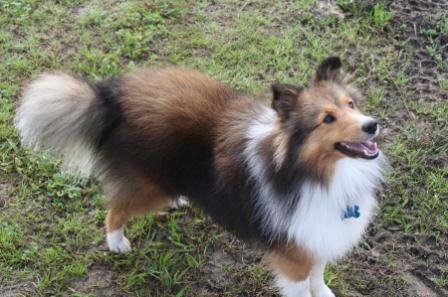 In 2009, Trip was bred to Dillon, a brilliant young bi-black from a line of Shelties that have done well in agility. Dillon’s sire, Rebound, has numerous offspring competing at high levels all over the country, and we were hoping to have the same success with Dillon. 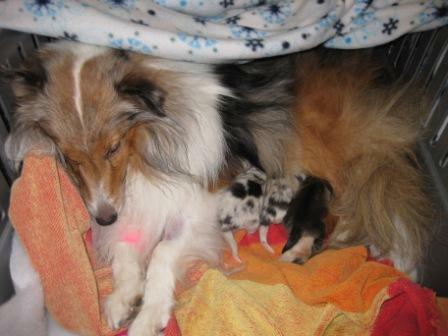 On November 5, 2009, Trip had 3 beautiful puppies via planned C-section. They were dubbed Snap (blue merle female), Crackle (blue merle male), and Pop (sable male), aka The Triplettes. All puppies were placed into performance homes. Crackle was renamed Rugby, and went to live with Trish Stapleton here in Houston. Pop, now Rush, lives with Noel Wascom in Baton Rouge. Both boys are having great success in the agility ring. 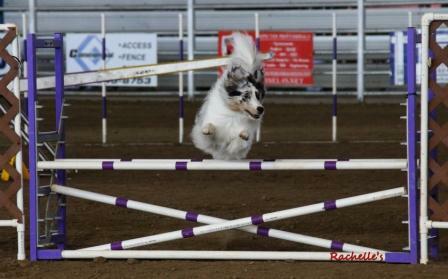 Snap became Ticket, and stayed with Brittany to become her next agility star-in-the-making.